Feature-stuffed magnetic base lantern- up to 12 days of light using AAs. Combines a 390 lumen lantern, bluetooth speaker, and USB-charging power bank. While flashlights and headlights may be great for biking and hiking, they fall short when it comes to illuminating a campsite. Lanterns should pack a punch but still be small enough to fit in your backpack. Bonus points if they collapse or comfortably hook onto your pack for easy storage. 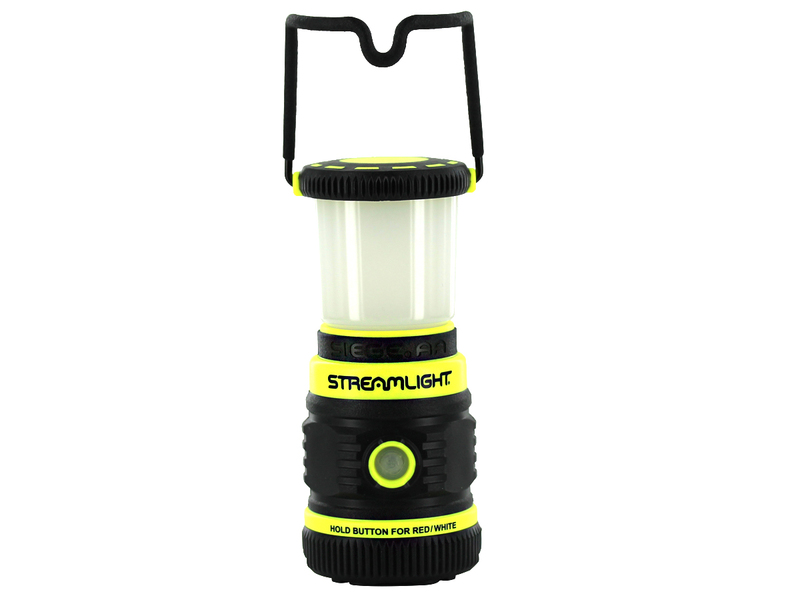 As all night-use lights, camping lanterns and flashlights should have a range of lumen outputs. While you may want a bright area light to set up your tent, you�d want a much lower output for campsite ghost stories or early morning packing. Common Activities You Need a Light For! No matter the type of camping you are taking a part in there will always be a time you will need to have a flashlight. When you are sitting around a campfire making S'mores you will need to have extra light to see the ingredients. If you want to take a stroll down to the lake for a midnight swim you will need a light to find your way down the trail. Or if you need to walk from your tent to the park bathroom. No matter where you are camping or, how you are camping, there will always be a need for a camping flashlight, lantern, or headlamp.